Why are there different models of alarms? Not every situation or vehicle is same. There are convertibles, SUV’s, utilities in each. There are number of different vehicles' makes and models. There is different technology in the wiring of the vehicles such as CANBUS in many of the newer vehicles especially European. We have one of the largest data bank to accommodate these vehicles. We have “upgrade alarms” that are interfaced with the vehicles ECU (computer). So you just use the vehicles factory supplied remote control to open and close the vehicle at which time the alarm will turn “on” and “off”. All our car safety alarms are supported by a “Digital” back-up battery siren in case the vehicles battery power supply is cut. Car alarms and immobilisers by Autopage-Cobra are unlike other security devices. Steering locks and brakes to steering wheel devices are no competition to car thieves. They are simple to by-pass and remove. Car safety alarms are a necessity because of the high rate of vehicle theft and removal of valuables from the vehicles. There is an audible sound that alerts passers-by and draws attention to the vehicle. 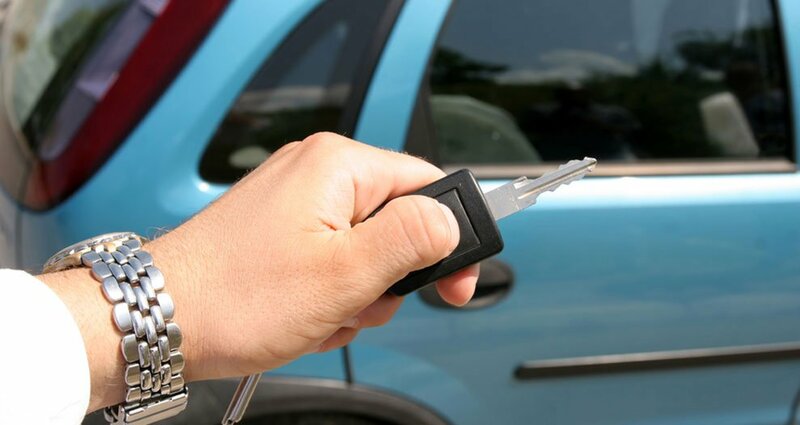 With standard vehicle immobilisers there is no time restraint for the thief. With a siren blaring and the indicator lights flashing in sequence no car thief will stay around. With the sophisticated internal sensors either our air pressure sensor or digital ultrasonics, it is almost impossible to move inside the vehicle without detection. A thief does not know who may be watching the vehicle and statistics tell us that they usually run away. Autopage-Cobra can enhance the very latest factory remote immobiliser to a full alarm system. We cater for all European and Japanese makes. A Complete System Unlike other devices such as steering locks, locking rods, etc., a Cobra Car alarm provides your vehicle with COMPLETE protection system, inside and out. Car Protection Sydney - Protects Contents A Cobra will not only protect your vehicle, but it will also protect valuable accessories and personal effects against break-in and theft from your vehicle. Save on Insurance Your no-claim bonus, plus some insurers will reduce your premiums and your excess, if you fit an approved Cobra system designed to Australian standards. Leading Car Makers Choose Cobra The technical superiority of Cobra has led many car manufacturers into choosing Cobra as the factory preferred system. Car owners around the world fit Cobra to protect their Jaguars, Audis, Lancias, BMWs, Fords, Citroens, Nissans, General Motors Mitsubishi, Subaru Toyota and other leading makes. After having my wedding photos stolen from my one year old Mazda 3, I was devastated. They broke my window and wrecked my door lock. The car was off the road for four weeks as well. I called Cobra who were very helpful as to the protection that I needed. They arrived on time and were very professional. I can now sleep at night unfortunately I could not replace the photos. My wife’s 2003 Toyota Corolla was stolen from a shopping centre. She only used the car to go shopping and picking up the children. "I came out and the spot where I left it was empty", she said. The car was not insured and being on one wage it took some time to save up for the replacement car. The new car was fitted with a Cobra Car Alarm after we got it and already someone tried to take it from the station. I am so happy that the alarm and immobiliser saved it, Thank you Cobra. I wish to express my thanks and recommend Cobra Car Alarms to as many people as I can. We are a plumbing company in Manly and three weeks ago while I was doing a job someone broke into my Toyota Hi-luxury and stole my factory fitted navigation and sound system. I was only away for a few minutes. They also took my laptop off the front seat with all my appointments in it. I called Cobra who recommended an upgrade alarm and connected up my tool boxes and it looks like it was factory fitted. I am a perfectionist and it is brilliant. I should get my replacement GPS from Toyota in six more weeks. I have now alarmed all my work and private cars.